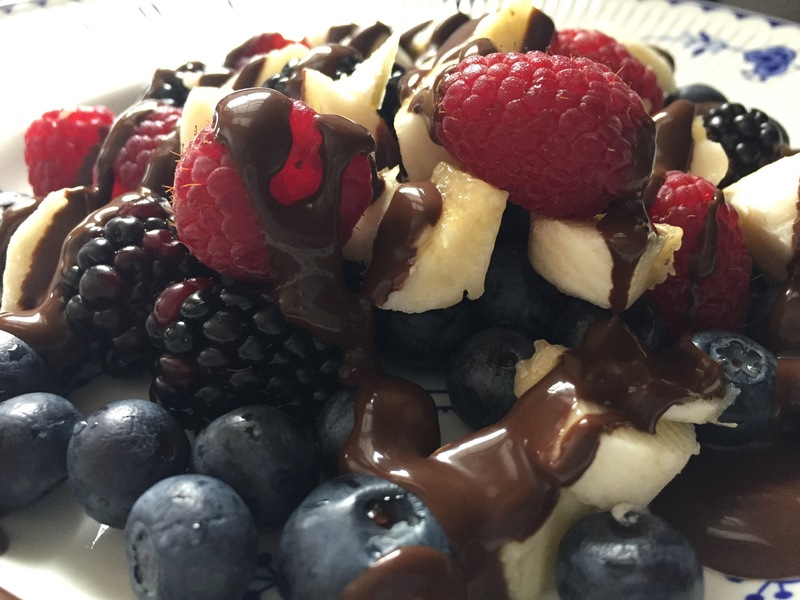 In the spirit of Valentine’s Day, thought I would post a healthy dessert that includes chocolate! This is the perfect Valentine Dessert to whip up for your special someone. Afterall, no Valentine celebration is complete with out having some kind of chocolate. Plus it looks like you spent a long time preparing it, it looks awesome and it’s packed with healthy nutrients. I’m a huge chocolate fan. I could eat it everyday, but I don’t need the extra calories and fat. I had been looking for a healthy alternative to eating chocolate bars and came up with this delicious healthy option and it’s guilt-free. The good news is, you can have have your sweets and eat it too, thanks to Nauture’s goodness. 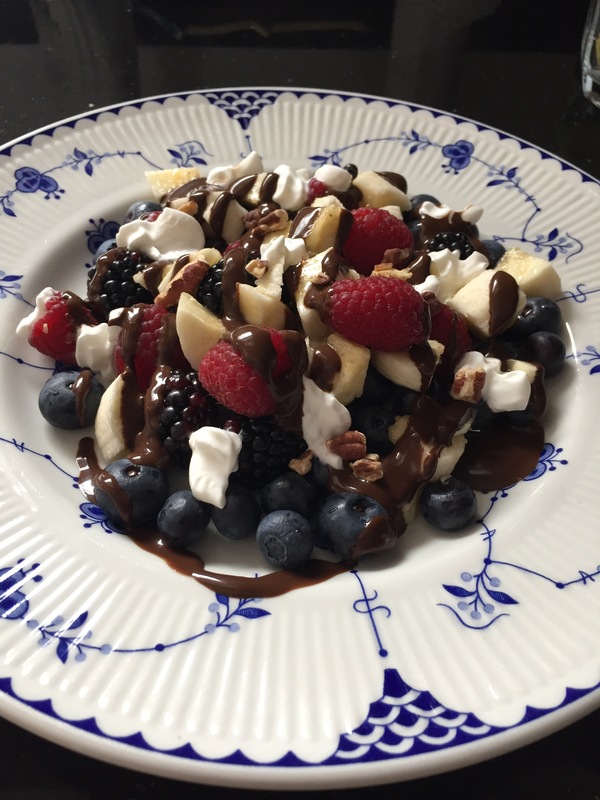 All it takes is your favorite fruit, a sprinkle of your favorite nuts(optional), a drizzle of chocolate syrup(I uses sugar-free to keep sugar and calories down, or you could sprinkle it with cocoa powder, if you like to avoid anything artificial and still want to avoid adding extra sugar) and for you non-vegans, a squirt of whipped cream. I like to pair it with a cup of coffee or a nice cup of grean tea, but for Valentine’s Day, serve it with a glass of champagne or your favorite wine. Omg this looks delicious! Will have to try!